Do you eat to live or do you live to eat? My co-workers have been ordering vegetarian lunch boxes from Green Meadow in SS2 on a regular basis so they have their own reusable lunch multi compartment containers like the above. They told me that the food is tasty so I went to the shop to try it out. I tasted the food and can vouch for them that "Less oil, salt and sugar" is true. 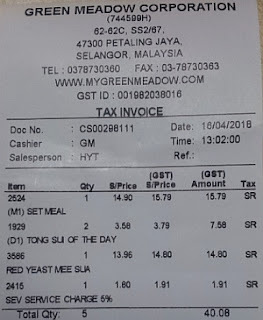 My lunch order: Red Yeast Mee Sua at MYR 15.55 nett and Pumpkin sweet corn sweet potatoes dessert at MYR 4 nett. The Red Yeast Mee Sua has lots of vege and mushrooms in it. It is so tasty that I ended up drinking all the broth. The pumpkin dessert is not sweet at all and the staff informed us that we can request for it to be sweeter which we feel is not necessary. My friend's set meal at MYR 16.60 nett with brown rice and a few side dishes that she chose. Total bill for 2 pax: MYR 40.10 nett. This is the place to go when we want to eat lots of vegetables for lunch. 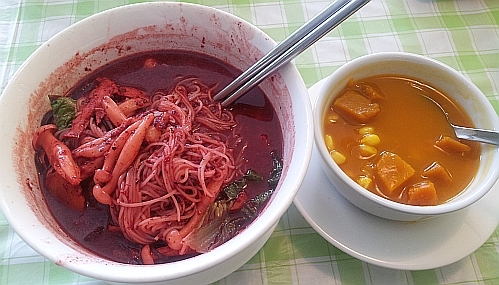 I want to try the red yeast mee sua. I wonder if it is the same like the foochow's red wine mee sua. this has no wine so STP says this is more like ang chao. go try in sg one day. I love mee sua with our traditional red wine made from the yeast but I'm not a fan of the noodles with the yeast, what we call ang chao. Great for cooking meat but I guess they do not do that here, being a vegetarian place. So red, the red yeast mee sua. Your friend's set meal looked so appealing and tasty. I wouldn't mind having it. 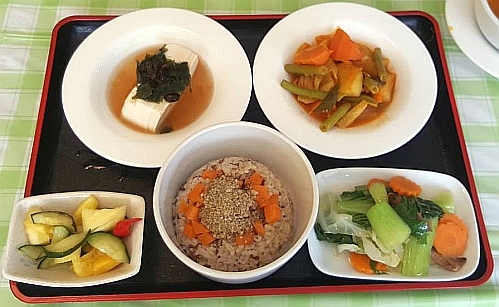 the set meal is full of variety do is very nice. 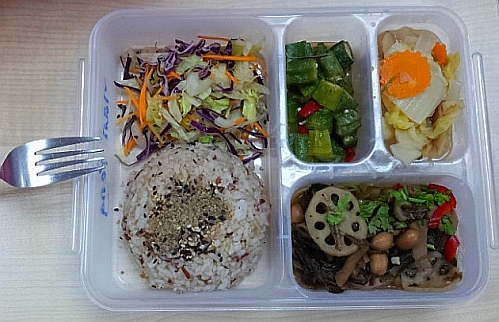 so colorful, I like the lunch box! variety of vege so is very good. I like the compartmentalized lunch box. Vegetarian food can be so tasty! I have been telling myself to have more vegetarian meals everyday. They can be very tasty and delicious like your bento box meal. Wah! 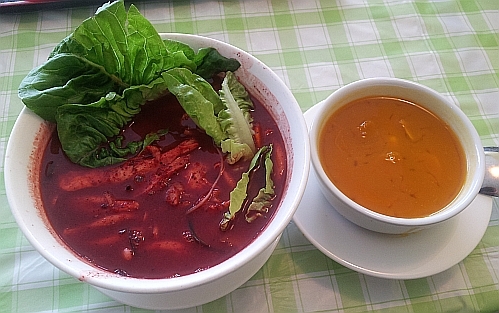 Vegetarian red yeast mee sua! That is nice! OK your red yeast meesua and dessert do look good. 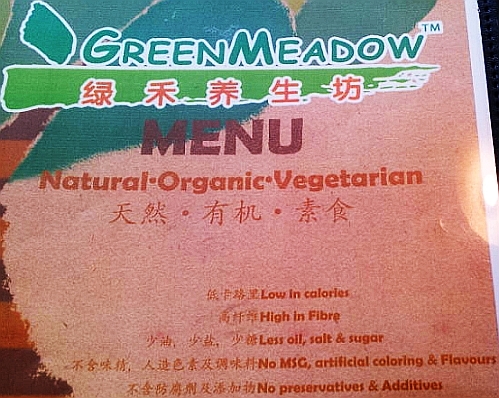 I wouldn't much care for the other veg stuff. Living life to my very best and sharing my thoughts on the www. Please leave me a comment if you happen to read this, I appreciate it. Thank you.